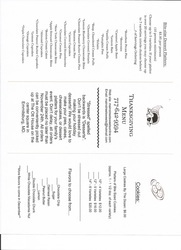 Orders can be placed by telephone or email. 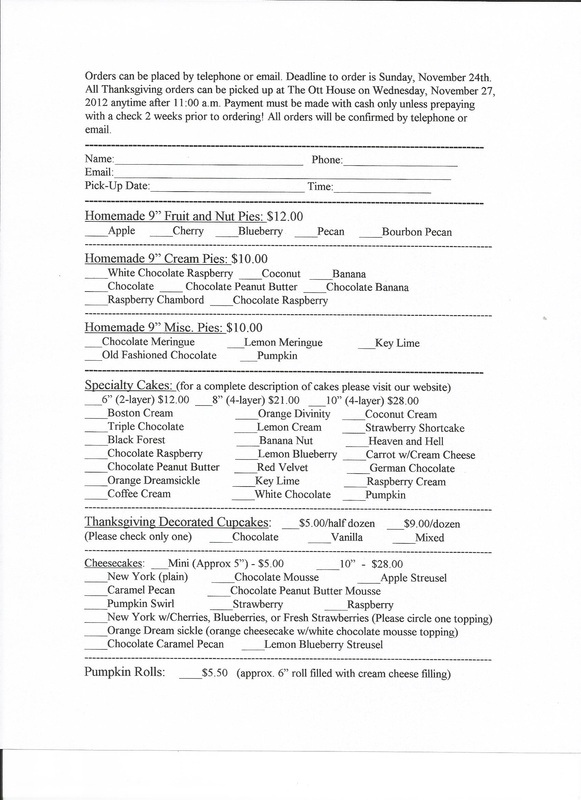 Deadline to order is Sunday, November 24th. 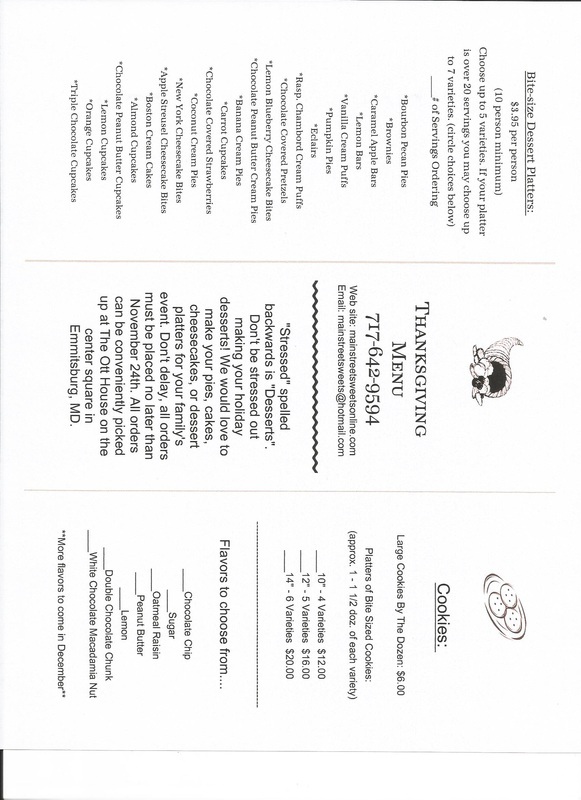 All Thanksgiving orders can be picked up at The Ott House on Wednesday, November 27, 2013 anytime after 11:00 am. Payment must be made with cash only or paid with check at least 2 weeks prior to order! All orders will be confirmed by telephone or email.